In case you’re wondering, the bill does not allow employers to conduct unfettered DNA tests on its employees. But it would allow employers to ask family health history questions again as part of a reasonably-designed, legally compliant wellness program or health risk assessment. 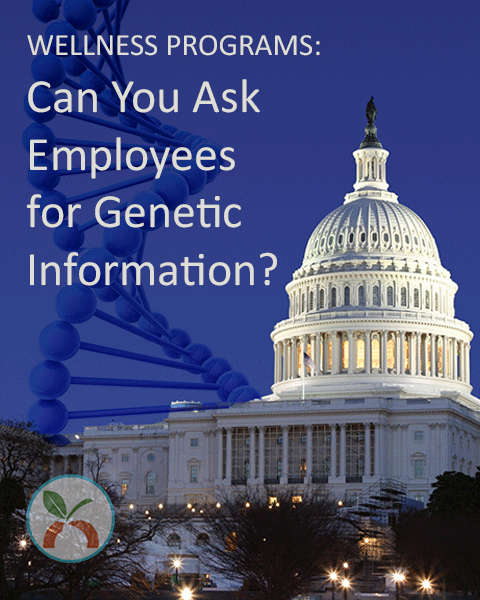 Would asking for this kind of genetic information be an unwarranted invasion of privacy? Or is there a legitimate reason to collect family health history (genetic information) in order to provide individuals a more accurate picture of their health risks? The bill makes a good-faith attempt to strike a balance between these competing concerns. Click here to learn more.